I met up with Search Press at last year’s London Book Fair and they kindly sent me a copy of one or two of their books to review. Among those I received was Just Draw It! The dynamic drawing course for anyone with a pencil and paper. Get prepared for a rather lengthy, creative review! Just Draw It! begins with a short note, explaining the aim of the book, which serves as a beautiful insight into the background, as well as the dreams and aspirations, of the authors. In creating Just Draw It! Authors Sam Piyasena and Beverly Philip planned to help people revisit their childhood, and to rediscover and nurture their dormant creativity. They explain that they both loved drawing from a young age – “Both of us spent most of our childhoods bent over a sheet of paper with a pencil in one hand and a glass of lemonade in the other” – and that, for them, time spent with a pencil and paper served as a form of escape, as well as a way of making sense of the world around them. This, they suggest, is common in many children, but is often lost as a child gets older and the focus in school shifts towards reproducing the realistic, rather than exploring creativity. At this point, that which once provided joy and freedom can be lost, and many people go through their adult lives thinking that they cannot draw. In writing Just Draw It! the aim was clear – to provide a way of allowing people to reconnect with the simple, unadulterated pleasures of childhood, and learn to enjoy the simple act of making marks on paper. Just Draw It! begins with the basics, exploring simple line and mark making, the ‘very heart of drawing itself’. A series of tasks explore making lines through different mediums, focusing on how the simple action feels. The artist is encouraged to draw using ink and sticks, make marks in the sand, draw on windows and create simple line images. As the book progresses, light and dark, dimensions, form, movement and texture are all explored, allowing the artist to rebuild their knowledge of art by beginning with the very basics, and working up. The focus is never on the realistic – but on the process itself. The final chapter is perhaps the most exciting, as it is completely dedicated to creativity. There are some amazing activities to be found nestled in the back of the book, graffiti, drawing from dreams, overlapping, sketching with your eyes closes, combining textures – there is so much to explore. I had an amazing time using this book – it was so much fun to discover so many methods of creation that I’d never tried before, even as a child. I was also able to involve my friends in some of the activities, which was a definite hit during social occasions. I’m not the most artistic person in the world, but I do really enjoy getting creative when the opportunity arises. I can be quite shy, but if this book has taught me anything is that it is that it really doesn’t matter what my drawings etc look like. So, I’ll share a few of my pictures with you. The very first task in the book is to attach a large piece of paper to the wall and put on a piece of music to listen to, then, with your eyes closed, to allow the sounds to inspire your movement as you begin to make marks. Initially I didn’t have a large piece of paper so I used a page in my sketch book and a pencil, and then later revisited the task with a torn up paper bag and a box of oil pastels (they were always my favourite medium). I really loved having the freedom to just do whatever I wanted, and was actually quite pleased with the results of this task – I’ve even had a few guests comment on my art work, which is still pinned to the wall in my reading room where I first made it. Another task in the lines and marks section was to create a simple line drawing and then trace over the lines with ink before blotting the original to make a copy. This task didn’t quite go according to plan – I think my initial paper was too absorbent – and I ended up with a rather smudged copy in my sketch book. The ink also passed through the pages and made another, fainter copy, which I then traced over to create a second copy. Even though this didn’t go as it was supposed to, I really like the result – and I absolutely loved using ink for the first time. There was something really satisfying about the fluidity of the pen nib and the ink and it passed over the paper. I asked a friend if she wanted to accompany me down to the woods for this next task. We wandered down to my local nature reserve, armed with a huge sheet of paper and a pot of ink, and got ready to unleash our creativity. With the paper pinned to the uneven ground using dirty rocks, and with an assortment of sticks, twigs and other plant material at the ready, we let loose, doodling, stamping, splashing and dripping to our heart’s content. It was so much fun, and I now have another interesting piece of artwork to show my guests. This next task was also carried out with a friend – ‘Just a minute’ – the idea behind this is to draw the profile of a person, with whatever medium you like, in just 60 seconds. My friend and I had spent an exhausting afternoon preparing for a dinner party before we sat down with a large glass of red and decided to draw one another – later on we drew one of the dinner party guests together, I started the image and she finished it. The last piece I’m going to share with you is from the final, super creative section of the book, and was by far my favourite activity. This one involved using sharpies, or markers to deface, or add to, images in a magazine. Again, I sat down to do this with a friend, we actually managed to fill up an entire afternoon with repurposing (read – destroying) black and white photos from old copies of the New Statesman. Here are a few (many) of our creations. It actually pains me to write this, given how much I love this book, but I do have just have one small gripe – this book is definitely not for ‘anyone with a pencil and paper’ as the titles claims. In fact, there are a lot of tasks which require some pretty specialist art equipment, the sort of stuff that art students and fanatics might have lying around, but those wishing to revamp their creativity probably won’t. Needless to say, armed with my tin of pencils and new sketchbook I was pretty ill equipped for what this book had in store for me. If you want to complete the book in its entirety you may find yourself having to invest in canvasses, sewing equipment, permanent markers, fine liners, polystyrene cups, Indian ink, paint, paintbrushes, conte crayons and a putty rubber (whatever that is). On the whole, I think this book is something really special. If you want to revisit your childhood, and explore a lost love of art and drawing, or even if you are casually interested in drawing and want a fun project to complete, then this is definitely the book for you. I also think this book would be a good addition to any budding artist’s bookshelf; it is full of great ideas for exploring different mediums and methods of creation. I’ve said it before, and I’ll say it again, I had a great time trying this book out, and I am definitely going to keep using it. I received a free copy of the book from the publishers in exchange for an honest review, all opinions are my own. After being treated to these beautiful books by a good friend I spent an otherwise dismal weekend holed up in my new reading room indulging my inner child. The Sleeper and the Spindle is a great example of a children’s book made for an adult audience. Think Snow White meets Sleeping Beauty, with some dark magic thrown in. I love modern twists on traditional fairy tales, almost as much as I love traditional fairy tales, so this book was always going to go down well. High in a tower in a kingdom far, far away a beautiful princess lies enchanted in her bed. Lately, the spell which keeps her slumbering has begun to spread, and the people of neighbouring villages have fallen victim to the sickness. Many brave souls have tried to reach the tower in the hopes of breaking the enchantment only to lose their lives, impaled on an impenetrable fortress of rose thorns. On what is to be the eve of her wedding, a young queen decides to set aside her matrimonial plans to rescue the sleeping princess. Accompanied by a team of crass dwarves, the queen takes up her sword and chain mail and travels deep into the mountains to reach the sleeping kingdom. The Sleeper and the Spindle combines the traditional themes we all know and love with an exciting modern twist, to create an enchanting, yet ominous tale – as delicately unsettling as it is deliciously captivating. Oh and the illustrations are nothing short of spectacular. If you saw my post about Children’s Stories from Japanese Fairy Tales and Legends you’ll no doubt be familiar with my fascination with foreign fairy tales. In fact, this interest does not apply just to fairy tales – myths, legends and ghost stories are also high up my list of interests. I find it really interesting to see how stories from different nations compare to those I grew up with and know so well. This collection of tales was written, or rather, recorded by renowned Russian folklorist Alexander Nikolayevich Afanasyev in the mid-19th century. 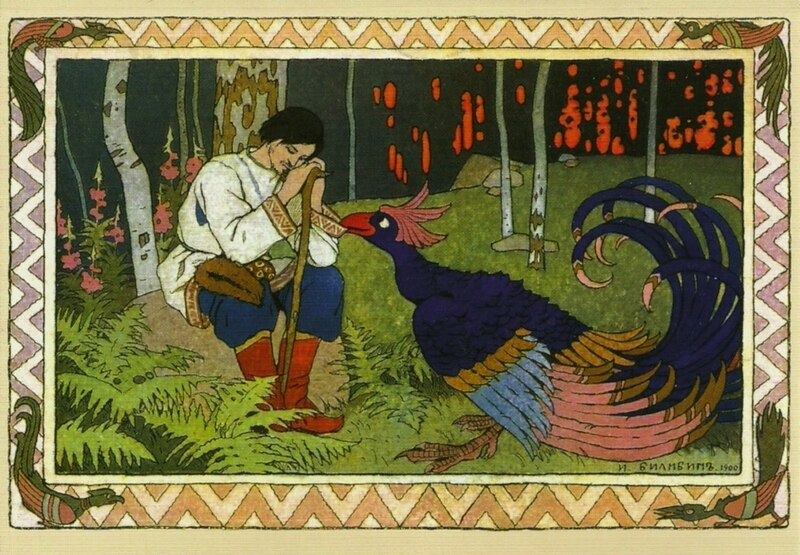 The book contains some of the best-known Russian folktales, including: Vasilisa the Beautiful; The Feather of Finist the Falcon; The Frog-Tsarevna; and Tsarevich Ivan, the Firebird and the Grey Wolf. Of all the characters I came across in this volume, and there are a few who feature in more than one tale, I was particularly taken by Baba Yaga. Baba Yaga is a cannibalistic witch who lives in a small wooden hut at the edge of the forest. Now, this description may not seem so different from a lot of other witches in children’s stories, but Baba Yaga has so many fantastic quirks, the likes of which I would never have imagined. Her hut stands on hen’s legs, and will only lower itself to permit entry when in receipt of a certain rhyme. 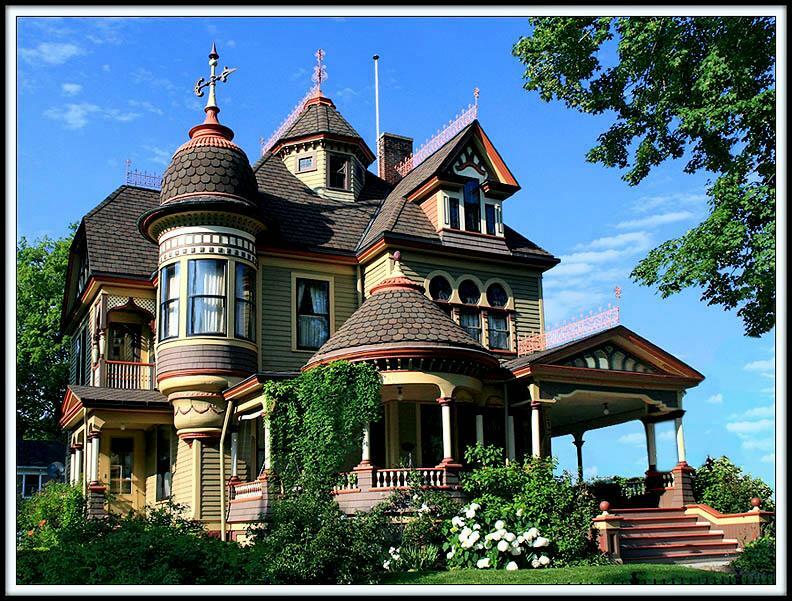 It is also surrounded by a picket fence adorned with the skulls of Baba Yaga’s victims, the eye sockets of which glow in the night. Instead of a broomstick, Baba Yaga travels through the forest in a giant mortar, driving herself forward with a pestle in her right hand, while sweeping the forest floor with a broom in her left hand. Oh and she is also often followed by spirits. 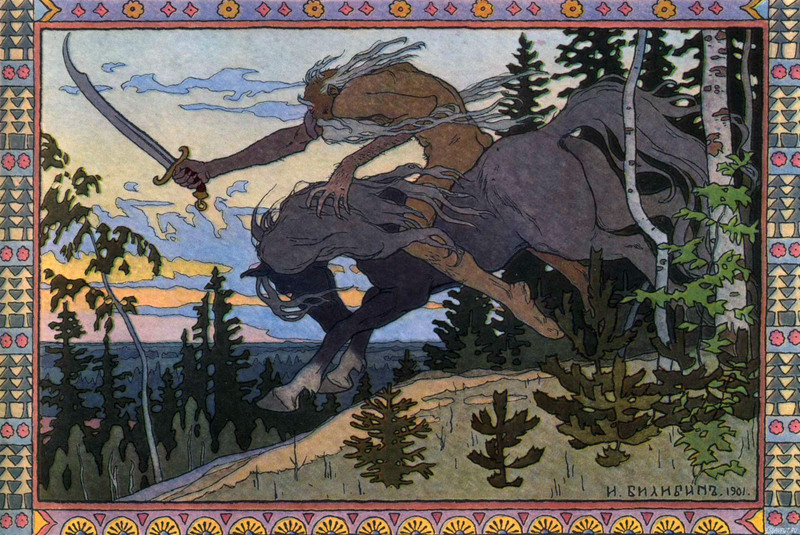 Having no familiarity with Russian folklore prior to this, I feel the collection gave a good introduction to some of the most famous characters in Russian folk literature. It’s a beautiful volume, and some of the illustrations are so elaborate I feel I could have spent hours studying them. World Book Night – Amazon freebie! In celebration of World Book Night I have teamed up with author N Caraway to offer you all the chance to read his novels for free on your kindles. World Book Night is an annual celebration of reading and books that takes place in the UK on 23 April. Across the country volunteers give out hundreds of thousands pre-chosen books in their communities to share their love of reading with people who don’t own books or are unable to read regularly. This years book list has some cracking reads on it – check out the World Book Night website for more information, and to locate participating venues. And for those of your who can’t participate in any of tonight’s events head on over to Amazon, or Amazon UK, and grab yourself a free ebook to sink your teeth into instead. Click on the book covers to get yourself a copy. A lonely old man is living out the last days of his life in Brussels, a city that alternates between small-town non-entity and extreme surrealist quirkiness, symbolised by the famous statue of a small boy urinating. Increasingly confused by the effects of a heart attack, he tries to find meaning in one last rational act of kindness before he dies. Set in the capital of a rapidly ageing Europe, the second novel by N Caraway is a tragicomic study of solitude and growing old that also provides a surprising new take on the theme of the classic Frank Capra movie ‘It’s a Wonderful Life’. After decades of civil war a peace deal is in the offing for the ravaged land of South Sudan, where the United Nations and a plethora of non-government organisations have come together to deliver emergency aid to the thousands of displaced and homeless people scattered in camps and villages across the vast wilderness of swamps and scrubland. Richards is a UN official on his final mission, leading a small team to a remote region. For him it is not just the war which is ending, but the world he has come to inhabit. Detachment and isolation from all that is around him begin to take hold and memories of another life threaten to break through the thin walls he has built around himself. As he sinks deeper into inner darkness a chance meeting with a young priest seems to offer the hope of a way back to belief in humanity and meaning, but the road is rough. Charlotte’s Web named best children’s book of all time! I was over the moon today to learn that Charlotte’s Web by E. B. 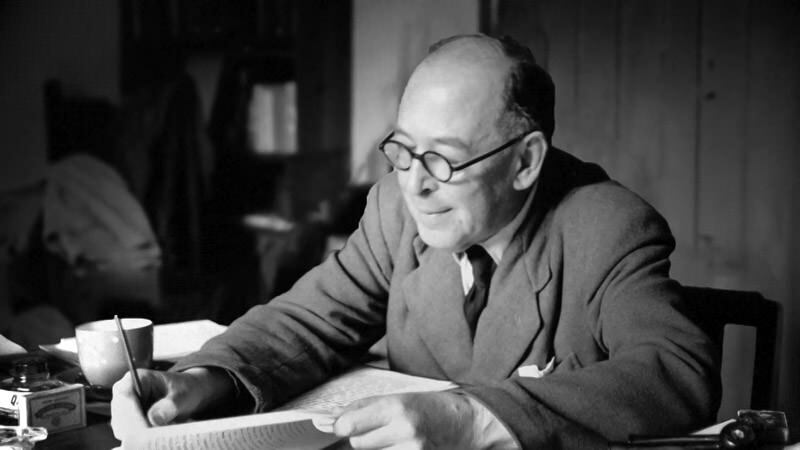 White had been voted the best children’s book of all time. The 1952 tale, about a lovable pig named Wilbur who is saved from the slaughter thanks to his unlikely friendship with a resourceful spider named Charlotte, was named number one in a list of 151 books chosen by critics in a poll by BBC Culture. The initial selection was whittled down to a list of the 21 top books in children’s literature, a diverse selection of books which provides a charming glimpse into children’s literature of the past two centuries. There are many books on the list I would have happily seen voted number one, but I think the most deserving book won. The Lion the Witch and the Wardrobe, and Alice’s Adventures in Wonderland, and Little Women are all firm favourites of mine, but they are books I came to love later on in life, whereas Charlotte’s Web was one of the first books I read on my own. 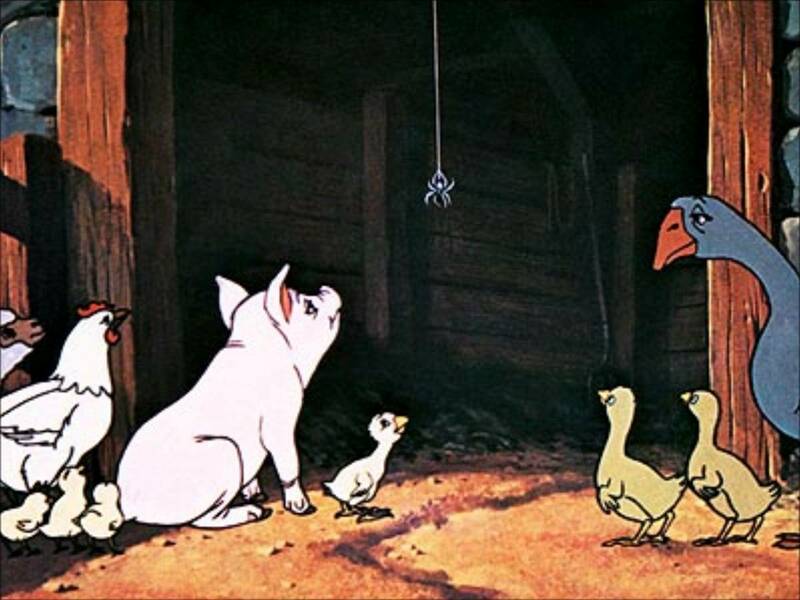 I loved Charlotte’s Web as a child, and I find it just as enjoyable now as I did twenty years ago. So I am over the moon at it’s number one spot. Books which tell a story from the point of view of animals have always been popular among children, and E. B. White took this classic theme and created something truly wonderful. I’d love to know what your thoughts are on this. Did your favourite children’s book make in onto the list? Do you think something else is more deserving of the number one spot? Let me know! It’s the end of the month, which means it’s finally time to treat myself after a few penniless weeks. Check out my haul! The suffragette movement is reaching fever pitch but for broke Fleet Street tomboy Frankie George, just getting by in the cut-throat world of newspapers is hard enough. Sent to interview trapeze artist Ebony Diamond, Frankie finds herself fascinated by the tightly laced acrobat and follows her across London to a Mayfair corset shop that hides more than one dark secret. Then Ebony Diamond mysteriously disappears in the middle of a performance, and Frankie is drawn into a world of tricks, society columnists, corset fetishists, suffragettes and circus freaks. How did Ebony vanish, who was she afraid of, and what goes on behind the doors of the mysterious Hourglass Factory? 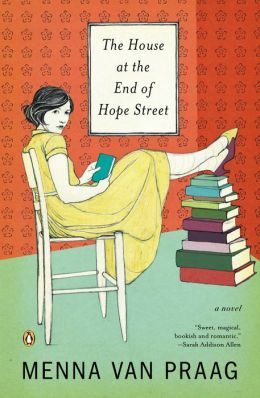 When Alba Ashby, the youngest Ph.D. student at Cambridge University, suffers the Worst Event of Her Life, she finds herself at the door of 11 Hope Street. There, a beautiful older woman named Peggy invites Alba to stay on the house’s unusual conditions: she’ll have ninety-nine nights, and no more, to turn her life around. Once inside, Alba discovers that 11 Hope Street is no ordinary house. 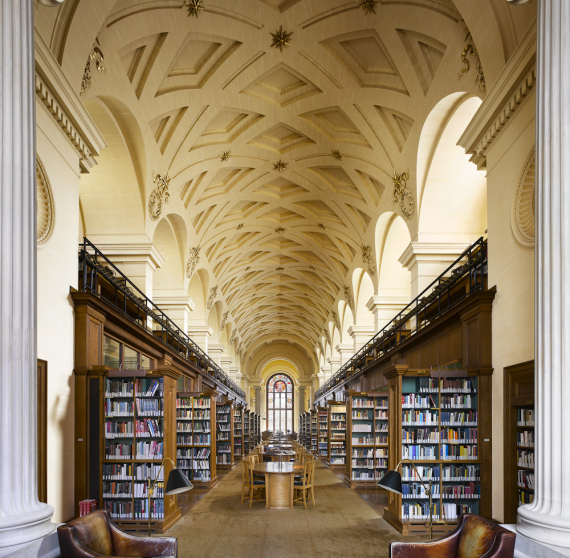 Past residents include Virginia Woolf, Dorothy Parker, and Agatha Christie, who all stayed there at hopeless times in their lives and who still hang around – quite literally – in talking portraits on the walls. With their help Alba begins to piece her life back together and embarks on a journey that may save her life. Forty-year-old Delia Grinstead is last seen strolling down the Delaware shore, wearing nothing more than a bathing suit and carrying a beach tote with five hundred dollars tucked inside. Did you treat yourself to any literary goodies this payday?